There are currently five established and famous mapping consortia in the Philippines where Filipino mapping advocates devote their time and money to bring about one end result: to provide a complete digital map of the Philippines. In this article, we would try to clarify and compare their differences so users would like to know which map is the best to use depending on the scenario; or for mapping advocates to be able to decide to which consortium would be deserving enough to devote their time and effort in mapping the Philippines. To start it all off, you need to be familiar about the five. 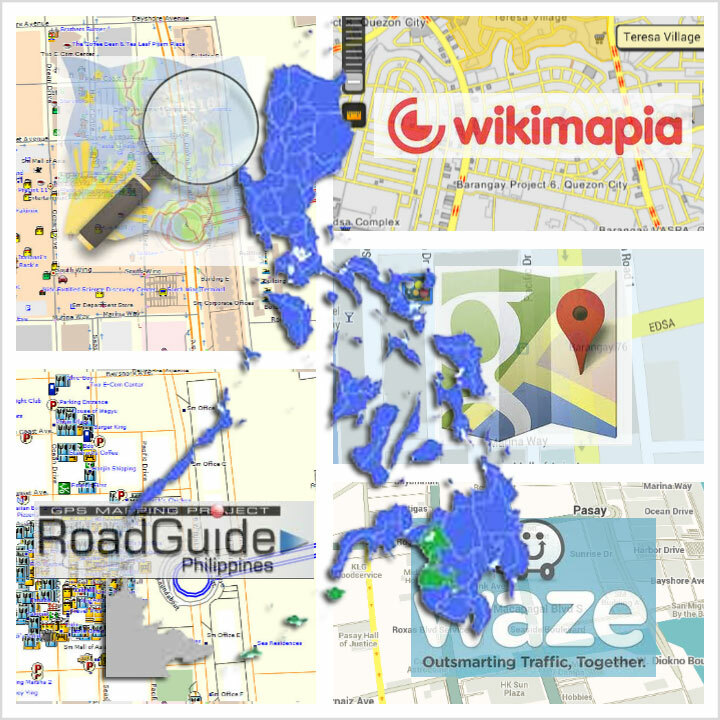 They are the Google Maps, Openstreetmap, Roadguide Philippines, Waze and Wikimapia. The Google Mapmaker is a service launched by Google in 2008 with an objective of improving their Google Maps by turning to its registered users to improve its data through contributions. 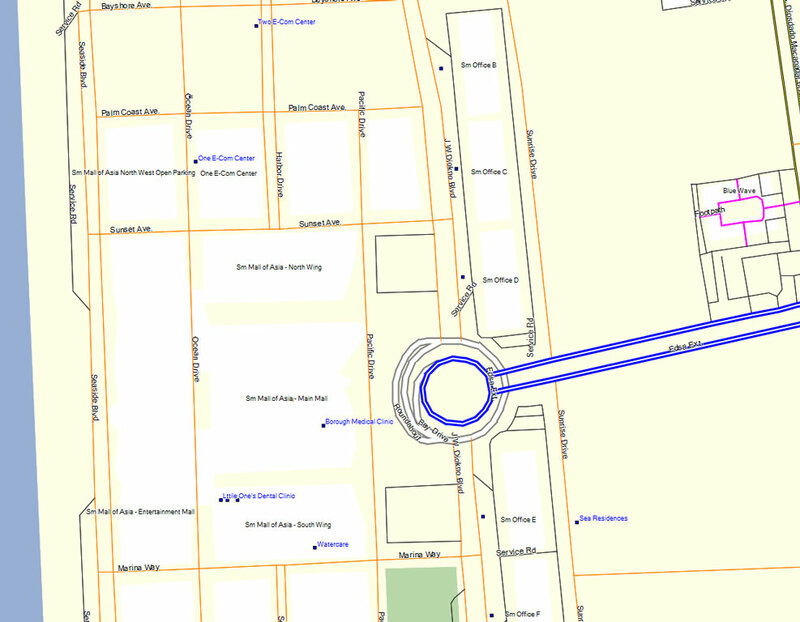 The editor is web-based and user can trace roads via the satellite imagery provided by various companies that Google bought for use on their maps. Moderation of data submitted is enforced via RERs or "Regional Expert Reviewers". Before, most of those that approve the data are from India who does not know anything about the contributors' locality in the Philippines as such most of the data are unnecessarily rejected. Now most RERs are those of mapping advocates of Mapmaker that already have a high standing which improved their time for approval. Currently, Google has been successful in making the Google Maps as the most famous digital map in the Philippines, especially when it used its maps to almost any service Google offers; including incorporating it on Android devices. In no time, Google Maps has become the widely used digital map of Filipinos who have a smartphone and who use Google services. Starting 2011, Google has activated the routability of their maps for the Philippines which gave its maps capable for navigation guidance. The only issue with Google Maps is that it requires online connection when using its service. However downloading its data for offline use is also possible, the data allowed to be downloaded is only limited and is only available for smartphones. The Google Map data can be accessed via a browser at http://maps.google.com or via the Maps application available on smartphones. The OpenStreetMap was established way back 2004 and is a collaborative project which is aimed to provide a free editable map of the world. In the Philippines, a non-government organization called OpenStreetMap Philippines is the governing centralized group that aims to unite the mapping advocates of the Philippines contributing data to OpenStreetMap. The organization also acts as a moderator of contributed data however anyone who is a contributor can double check and modify accordingly any data that may be inaccurate. Mapping advocates have various ways to contribute mapping data to OSM. One is via online on their Potlatch editor or via offline editors such as Merkaator and Java Openstreetmap Editor (JOSM). As of this time more editors are being developed by contributors themselves. The contributions submitted are published in real-time. Personally, Schadow1 Expeditions use JOSM in contributing to OpenStreetMap. 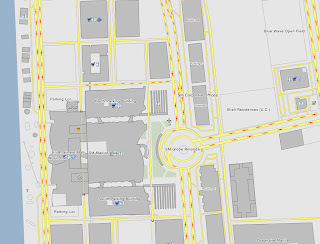 The OpenStreetMap data is licensed under Open Data License Creative Commons Attribution; where everyone is free to reproduce and adapt, and remix the data of the contributors as long as the data is shared the same way to others. 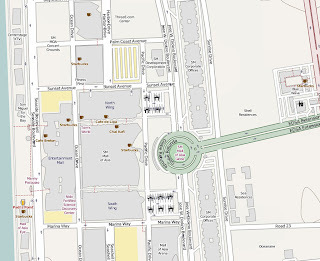 The map generated by OpenStreetMap can be viewed online at http://www.openstreetmap.org and the data can be downloaded to which developers are exploiting the data for different uses. In the Philippines, +Maning Sambale has been downloading the OSM data weekly and compiling it for Garmin devices for navigation guidance. Schadow1 Expeditions is also compiling the OSM data for free download on our #mapPHL page since July 2013. Oruxmaps and OSMAnd is an application on Android that can read offline and online maps based on OpenStreetMaps and many others. Because OpenStreetMap is open data, the value of the data contributed to it can be used virtually by any means such as humanitarian, logistics, and navigation. As it is also shared under Creative Commons Attribution, the data will forever be free for all. Recently, Foursquare has replaced Google Maps to OpenStreetMap as their map of choice. 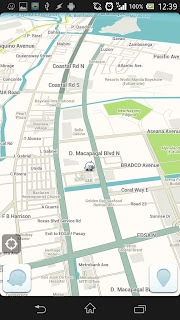 The RoadGuide Philippines has been around since 2006 to which the data obtained by its registered contributors are compiled for Garmin GPS devices. As such, the data is used solely for offline navigation guidance using Garmin GPS devices. Access to the routable maps are exclusive to its active contributors. 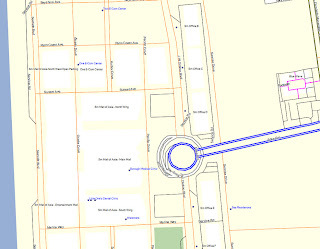 Contributors submit waypoints, and tracks via their forum at http://roadguide.ph/forums and where a few chosen moderators incorporate the data to their maps and is released to its active contributors in a monthly basis depending on how the moderators choose to. The Waze service is a new-comer and getting its fame from drivers due to the real-time traffic information collaboration among its users. Its maps are generated by GPS traces that is automatically uploaded to their services. There is also a web-based editor where users can edit the Waze map. Currently Waze is only available on Android and iOS-based smartphones and requires the phones to be online when using the service. The map is routable and the application automatically redirects the driver depending on the traffic congestion as generated by the users themselves. One thing to note though is that similar to Google, the data contributed is proprietary and Waze can use the data to how their company see it fit. For more info on Waze, you can go to their website at http://www.waze.com. Waze is recently acquired by Google. 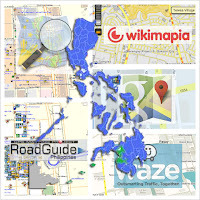 Wikimapia is also a map under the Creative Commons attribution similar to OpenStreetMaps and was launched last 2006. 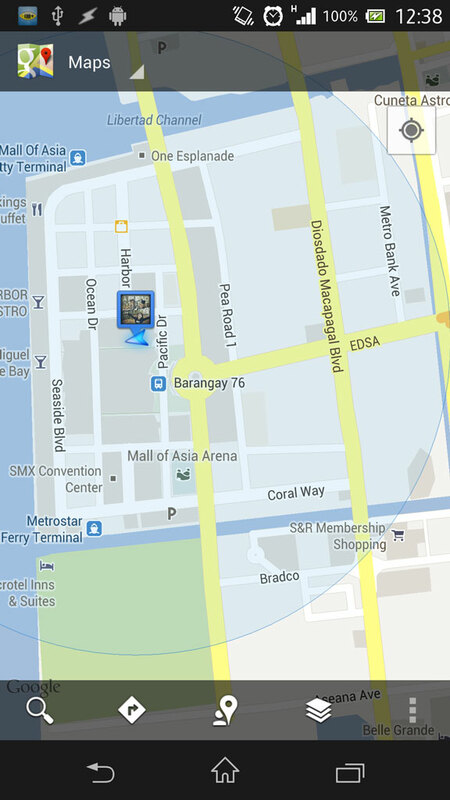 Contributors can edit the map via their website at http://www.wikimapia.org. 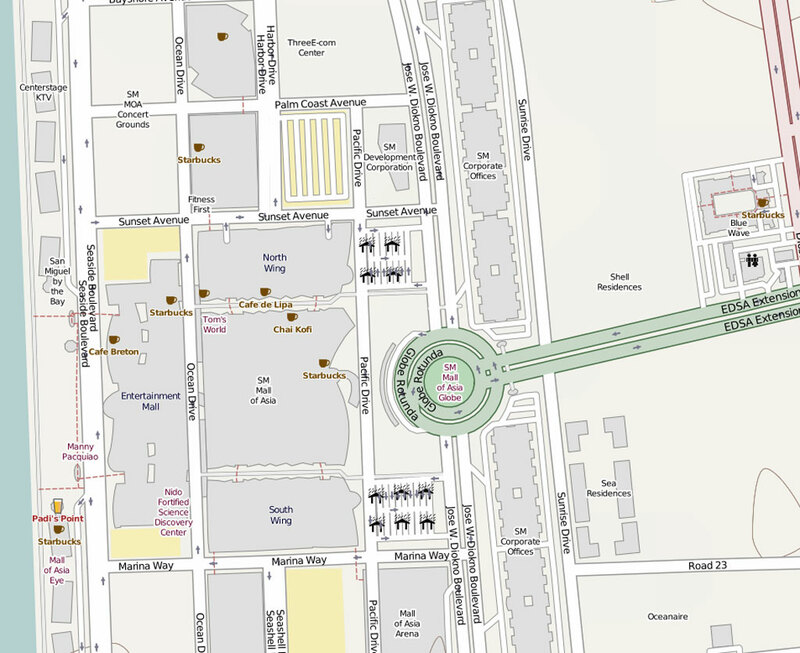 The main use of Wikimapia is to provide vital information similar to Wikipedia except the information is presented as an overlay on a satellite imagery. The data is not routable and can only be used as an online reference. The problem with Wikimapia is that it is plagued with unnecessary information due to lack of moderation. In summary, these are the pros and cons of each mapping consortium. Integrated to Google services as such the map is accessible to virtually any application that uses Google services. Many active contributors with moderators. The future of its data depends on corporate and profitability decisions of Google as the data contributed is owned by the company. Requires the device to be have internet coverage to work. Open data: The data obtained can be adapted, remixed and re-shared without restrictions and can be used in many ways and applications. Contributions are sharply increasing and is currently number 2 on the amount of data in respect to amount of waypoints for a Philippine routable map. Number 1 in tracks, trails and supplementary data; and is recommended for adventure enthusiasts. Routable and compatible for Garmin GPS devices. 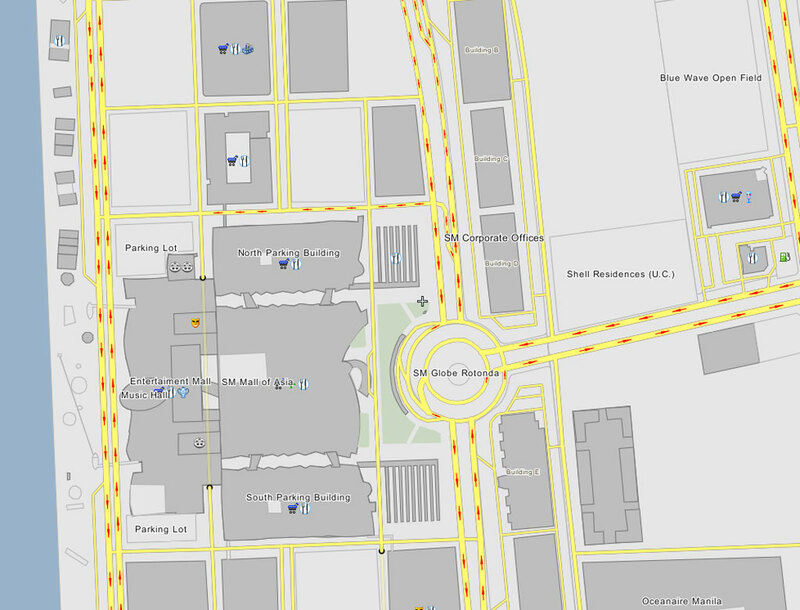 Numerous smartphone applications are now available that is routable and based on OpenStreetMap. See the list here: Android, Windows Mobile, Apple iOS. Limited routable applications available for smartphones. Routable and compatible for Garmin GPS devices and is used offline. Access to the routable map is only exclusive to its active contributors. Realtime traffic collaboration, great for drivers in Philippine cities. Only available for online use and for smartphones. The data is proprietary as such, the company has the say on the future use of the data obtained from contributors. Open data: The data obtained can be adapted, remixed and reshared without restrictions. Not routable and cannot be used for navigation. Lacks moderation and has many rogue and vandalized data. How does Schadow1 Expeditions contribute. The primary beneficiary of Schadow1 Expeditions mapping advocacy is OpenStreetMap Philippines and Roadguide Philippines. Mapping data is also contributed to Google Maps as requested by the benefiting locality of the map-up. Our Waze account is open for tracing roads that are not yet mapped as we drive through it. Do check out how we contribute here. 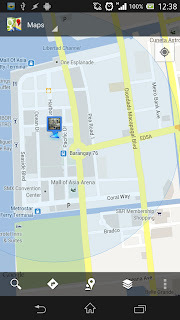 Depending on your use, each of the Philippine digital maps mentioned has its own benefits and drawbacks to note. Google Maps can be used in tandem with its search feature while OpenStreetMap and Roadguide are the best for offline navigation if you have a Garmin GPS device. OpenStreetMap is the best for mountaineering as well. OpenStreetMap, due to its open license and data coverage is the most beneficial where its mapping data can be used virtually to any purpose. Waze on the other hand is great to use for detours due to heavy traffic in the metropolis.